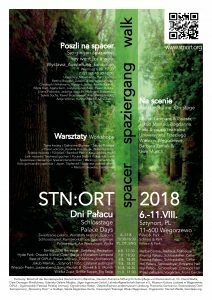 STN:ORT Festival is an initiative to bring the Palace of Sztynort to life – to animate its cultural re-birth as a place of cultural encounters, participatory art, knowledge-exchange, storytelling and creativity. Starting with the premise that re-novating a palace also means re-imagining its cultural soul and social community, FairerTales initiated the palace festival in 2017. In 2018, FairerTales produced STN:ORT 2018 during the second week of August (6th-11th August 2018). The festival was fully run by volunteers of different ages and nationalities. The theme “Walk – Spaziergang- Spacer” dealt with the history of resistance of the manor during WWII, and explored the role of the walk for acts of resistance. For the festival, we scripted a guided tour about the resistance activities of Heinrich und Gottliebe von Lehndorff, the owners of the Palace during WWII. 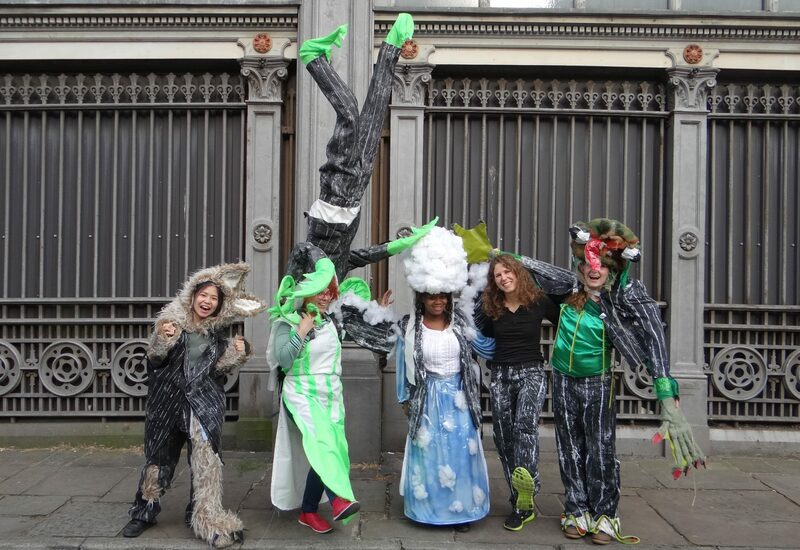 The festival programme comprised five evening events for different audiences in the palace: a festive reception, an open stage night with acoustic guitar, a Polish animation night, a collaborative theatre performance, and a classical song recital. It further included the collaborative exhibition “They went on a walk”, and daily arts and crafts workshops with international and local art instructors. Around 1000 visitors came to see the palace during that time and took part in the festival activities. Visit the festival website for more information about this and next year’s festival. The FairerTales festival report “Learning from STN:ORT 2018: Experiences, Insights, Goals” is available for download here.